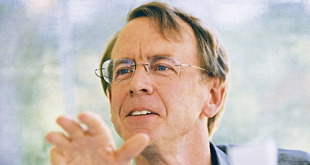 John Doerr, the venture capitalist with a seat on the board at just about all of the big firms you’ve ever heard of, announced he would not be seeking re-election to the Amazon board in order to “focus on new ventures.” The more likely cause, however, is the increasing competition between Google and Jeff Bezos’ online retail firm, leading Doerr to pick one or the other. Although the online retailer released a Kindle for Mac app yesterday, allowing Mac users to access any of the 325,000 books in its catalog, Amazon is looking increasingly jumpy as the day of the iPad launch creeps closer. It’s apparently threatening to dump another couple of publishers should they not agree to a stringent three-year deal (remember the debacle with Macmillan earlier this year, when the publishing house’s books were mysteriously removed from Amazon, although they were later reinstated). What Amazon is asking for, it seems, is exactly what Apple has already negotiated with publishing houses. Perhaps, rather than fighting what it sees as Apple’s encroachment on its territory (conveniently ignoring its own appearance in the digital music sector a couple years back) the two companies need to sit down and work out a similar strategy in order to tie publishers into uniform pricing across the two platforms. The company also announced that it was developing a separate app for the iPad.